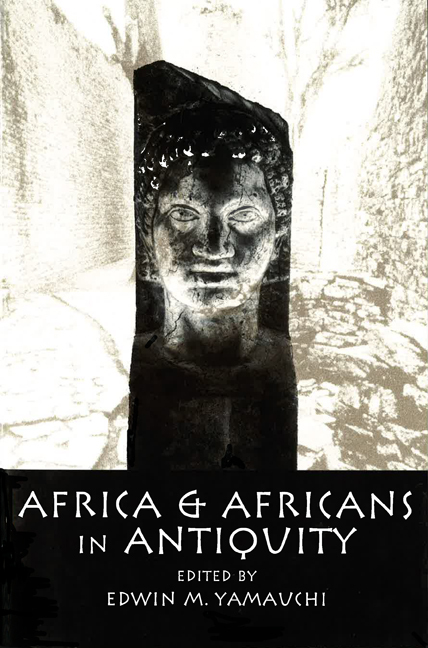 Africa and Africans in Antiquity assesses recent historical research and archaeology under way in Egypt, North Africa, the Sudan, and the Horn of Africa. Whereas many European and American scholars of earlier generations believed that Egyptian contacts with Africa to the south were not culturally significant, research contained in this important collection rejects such notions. At the same time, the volume takes issue with Afrocentric scholars who argue that most Egyptians were 'black' and that blacks are the rightful heirs to Egypt's past grandeur. These ten thought-provoking essays demonstrate that this large region was an ethnic and cultural mosaic in antiquity, a place where Phoenicians, Berbers, Greeks, as well as Egyptians and Nubians interacted. Edwin Maseo Yamauchi (born 1937, Hilo, Hawaii) is a Japanese American historian, Christian apologist, editor and academic. He is Professor Emeritus of History at Miami University.